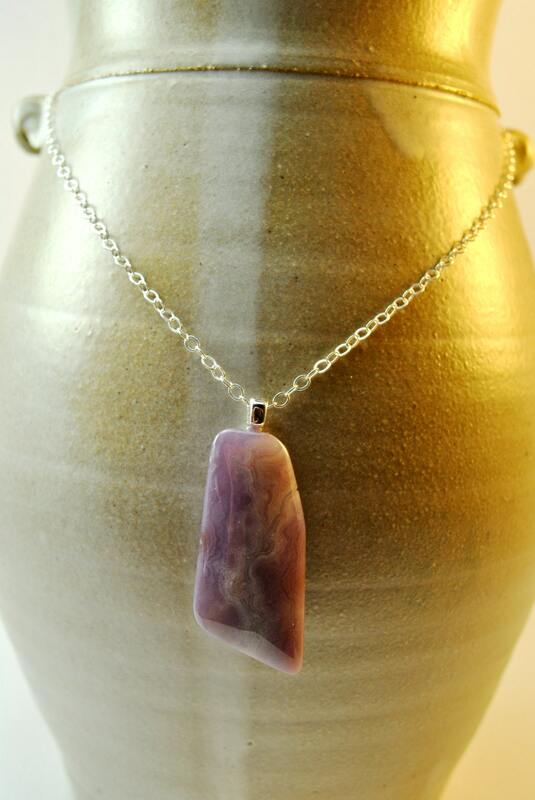 Purple Royal Aztec stone pendant necklace on a Sterling Silver chain. 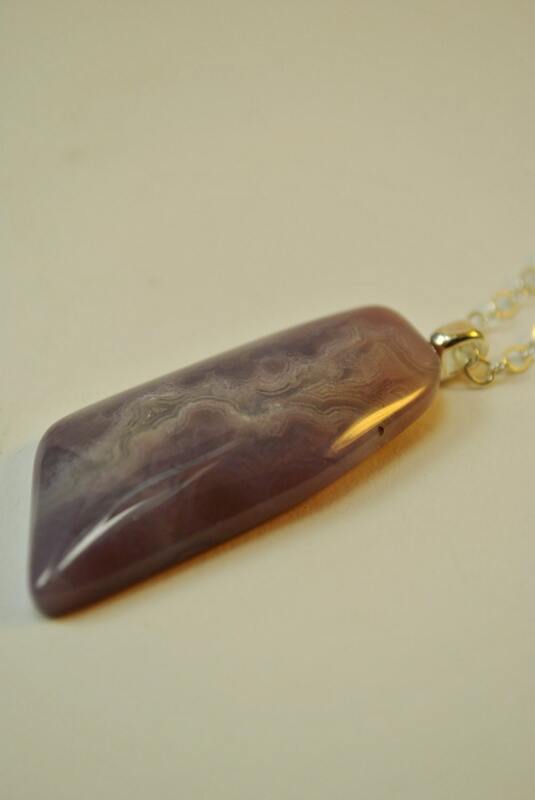 This seldom seen agate is a lovely shade of soft purple or lavender. It is sometimes called purple lace due to the white or yellow pattern in soft pastel shades of lilac. It was mined in Durango, Mexico in the 1960's and is quite rare now. 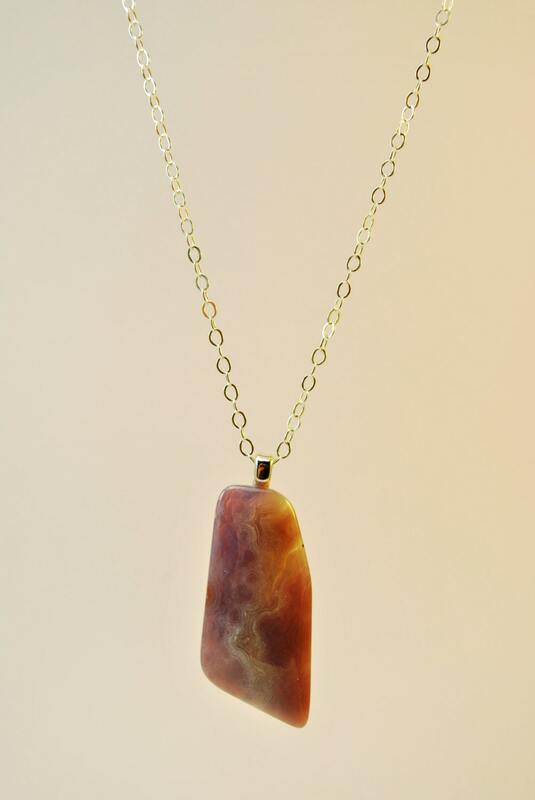 Purple agate is said to stimulate empathy and compassion for others.